South Bend, IN: An inside the park home run by Brandon Hughes and a three run blast off the videoboard by Jared Young lifted the South Bend Cubs to a series sweep over the Fort Wayne TinCaps. Behind the two round trippers, the Cubs took the series finale by a final of 6-1. 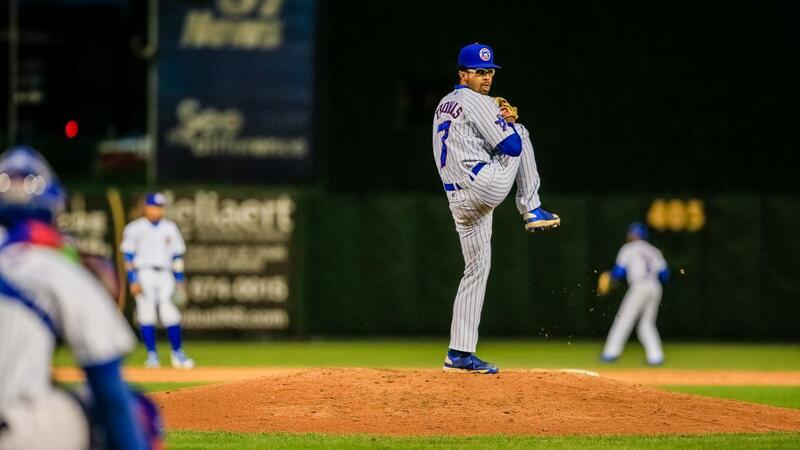 Coming into the game fresh off a combined no-hitter thrown the previous night by Rollie Lacy and Ben Hecht, the Cubs held Fort Wayne scoreless until the 7th inning on Thursday night. Neither team plated a run until the bottom of the 5th due to excellent starting pitching by a pair of southpaws. Tom Cosgrove and Ricky Tyler Thomas battled back and forth into the middle of the game. The quick-working Thomas tossed four innings of scoreless ball in his return from the disabled list. Thomas took a no-decision as the Cubs did not score until the 5th, when right hander Jeffrey Passantino was the active arm on the mound. The designated hitter Hughes stepped up to the plate for the second time on Thursday against the starter Cosgrove. On a line drive down the right field line, right fielder Tirso Ornelas crashed into the wall trying to catch the ball. With Austin Filiere and Michael Cruz scoring easily, Hughes sprinted towards third. Manager Jimmy Gonzalez gave Hughes the green light. He crossed home plate to give South Bend the inside the park home run. With a 3-0 lead, Passantino and Yapson Gomez shut the door the rest of the way, allowing just one run in five combined innings. South Bend received even more insurance from the left fielder Young on a ball clobbered to right field. The blast hammered against the videoboard and Young rounded the bases with his seventh home run of the season. That made it 6-1 as the game headed to the top of the 9th. With a 1-2-3 9th inning, Gomez earned his first save of 2018. The Cubs are now back to .500 with their record sitting at 29-29. The 6-1 win ends the six game homestand. With a record of 5-1 in the six games, the Cubs will take their hot streak up to Comstock Park, Michigan to face the West Michigan Whitecaps for the first of five games tomorrow night at 7:05 p.m.